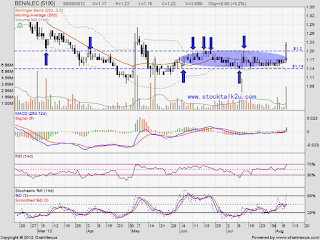 BENALEC succeed break through RM1.20 strong resistance with huge volume. 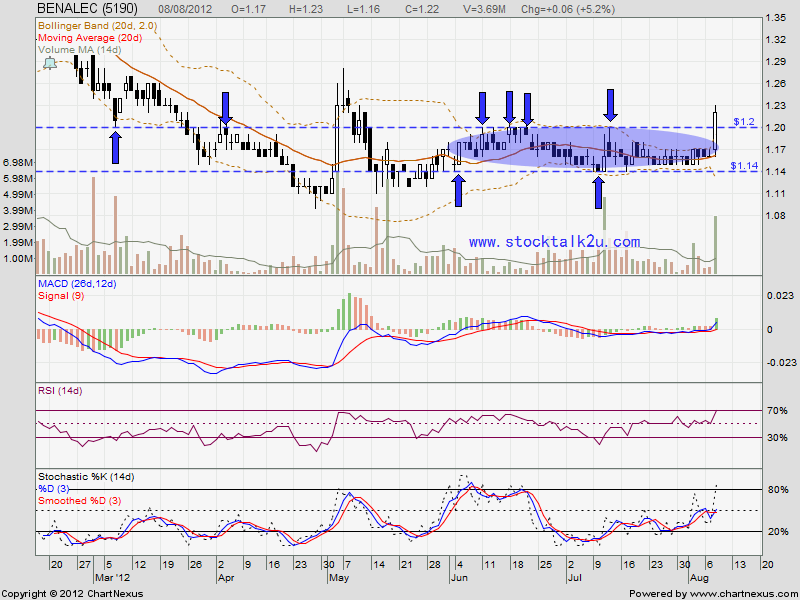 Strong resistance @ RM1.36 level. Immediate support MA20 / MA50 level. 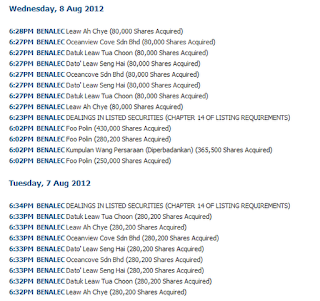 Do observed insiders keep acquired the stock in huge volume since early of July. High probably this coming Quarter Report will be very attactive. 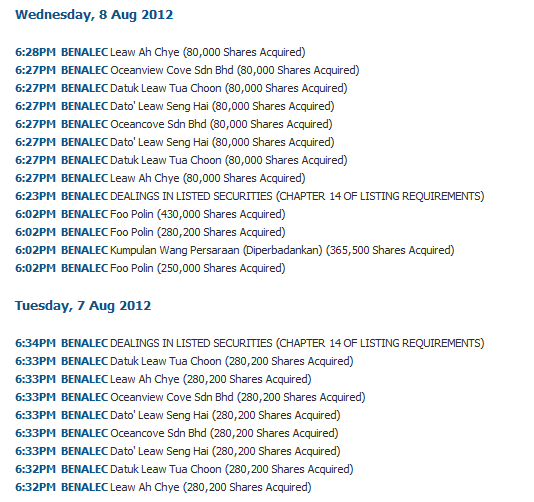 Or any great news / special dividend going announce?